If you’ve got your head in the clouds walking around the corner of 8th and Q Street in the Haymarket, you might stumble down a rabbit hole. Not that it would be a terrible thing—in Amanda Fuchser’s Rabbit Hole Bakery, you could eat as many as six impossible pastries before breakfast. Fuchser’s whimsical, “Alice in Wonderland”-themed pastry, cake, and bread shop is tucked below the sidewalk level of the Haymarket, underneath Yowie’s Lodge. She opened her business in 2016 after attending baking and pastry school in West Virginia and interning at Butterfly Bakery in Lincoln. The Haymarket location felt like a perfect fit from the start. The Rabbit Hole gets curiouser and curiouser inside. A collection of unusual clocks fill a wall, and an “Alice in Wonderland” mural fills another. A cozy sitting space features a coffee table adorned with pages and illustrations from Lewis Carroll’s novel. A large bookcase is chock-full of teapots, books, and knick-knacks. Pastries and confections are displayed on playful cake stands. 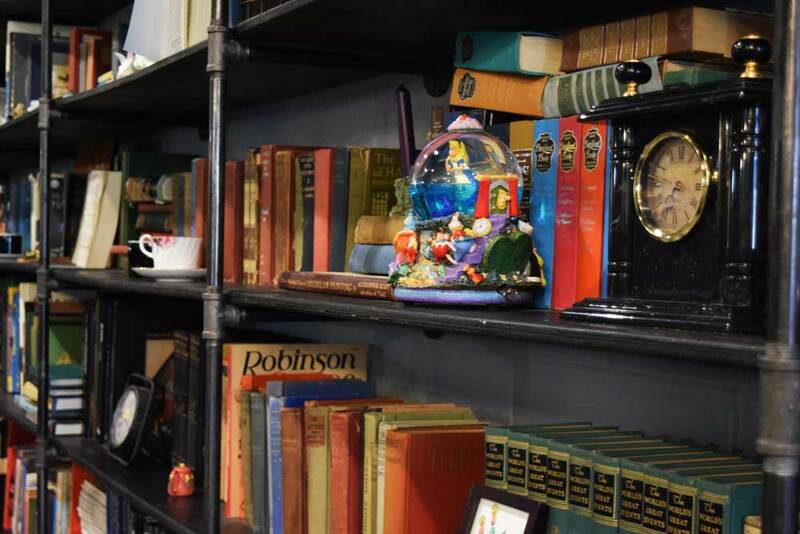 While some of the collection is Fuchser’s, most were happily donated by customers who thought their colorful teapot or “Alice” themed snow globe belonged in The Rabbit Hole. “I am a fan of ‘Alice In Wonderland,’ but more importantly I’m a fan of imagination,” Fuchser said. Imagination and whimsy is what drives Fuchser to bake and decorate cakes. Her speciality is customized cakes—the crazier, the better. 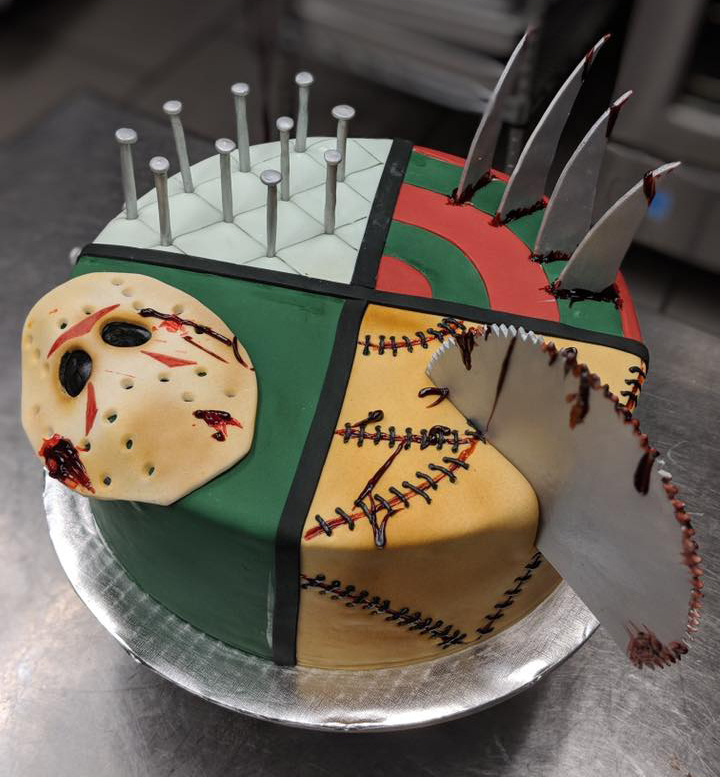 Recently, she’s been enjoying creating horror-themed cakes for a few customers, complete with oozing “blood” and Freddy Krueger’s bladed gloves. 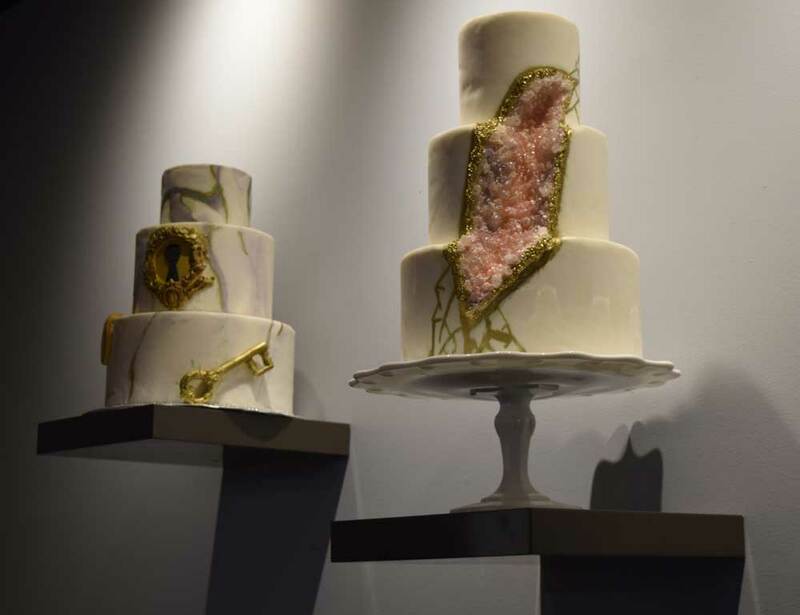 She’s also been keeping up with new, trendy techniques, like geode cakes that look like the inside of a sparkling crystal, and marbled cakes with an agate-like swirl look. With Valentine’s Day around the corner, The Rabbit Hole has been stocking up on all things pink, red, sweet, and heart shaped. 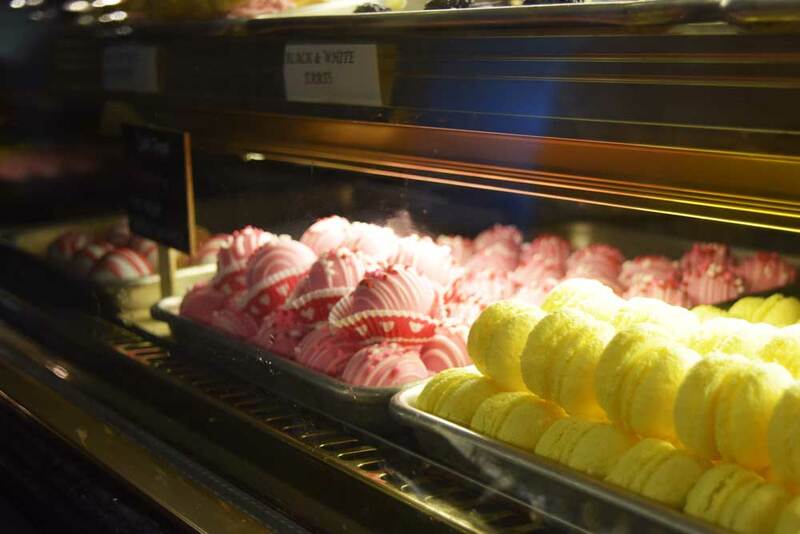 Among them: cake by the slice, cream puffs, french macaroons, brownies, cookies, cake pops, cheesecake, tarts, scones, cinnamon rolls—try not to drool. If you’re looking for a sweet treat for your significant other, stop by the shop and peruse the premade confections or place an order in store or online at therabbitholebakery.com for custom cakes or pastries. On February 14, the Rabbit Hole is a Valentine’s Day date destination. They’ll be hosting a live comedy show for customers to enjoy in their cozy space, and there’s plenty of wine, coffee, and dessert to go around.